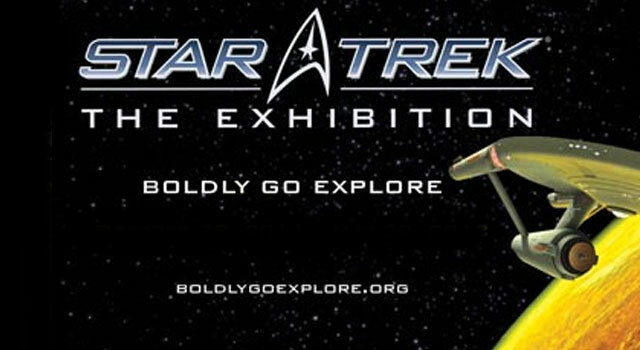 Star Trek: The Exhibition, the traveling museum of screen worn Star Trek uniforms, props and other memorabilia from every live-action Star Trek series and film, will be headed to the Saint Louis Science Center beginning next month. The Exhibition will open at the Saint Louis Science Center on October 28th with a preview for SciFest attendees on October 21st and for SciFest Family Fun Night visitors and Science Center Members on October 22nd. Tickets will be $17.50 for adults, $15.50 for seniors and $13.50 for children 5 to 12. For more information, visit www.slsc.org.